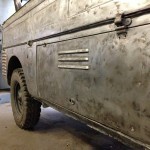 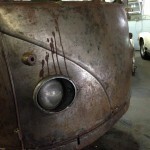 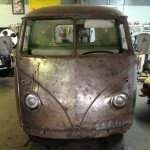 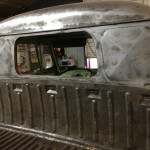 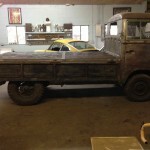 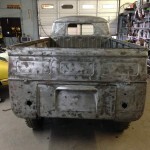 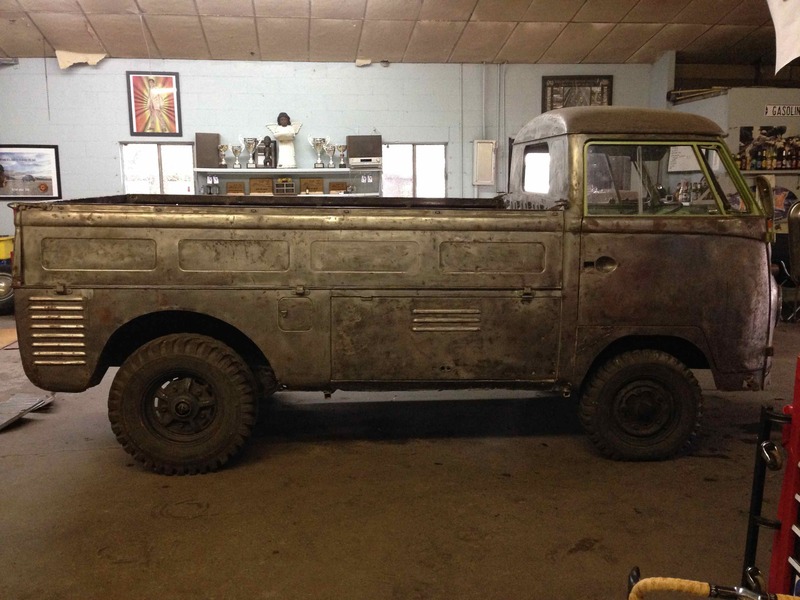 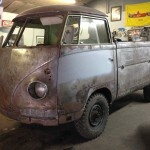 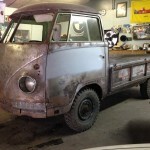 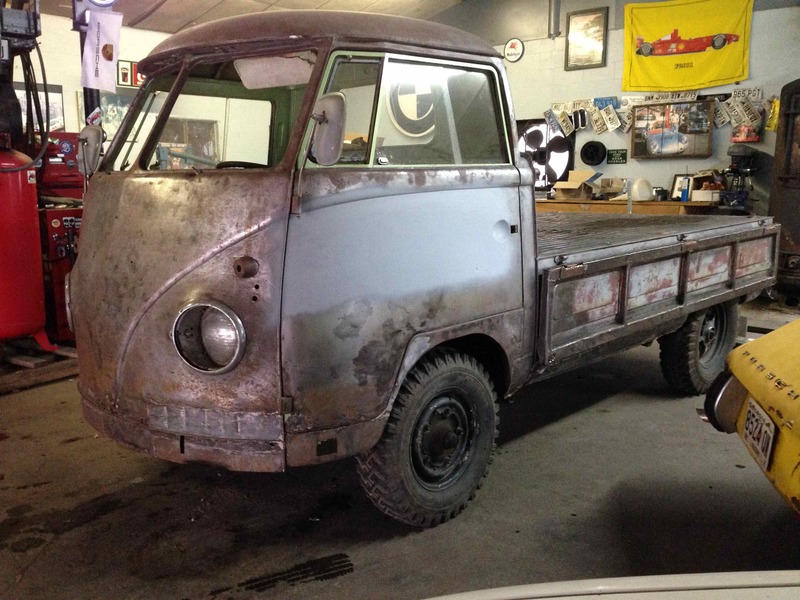 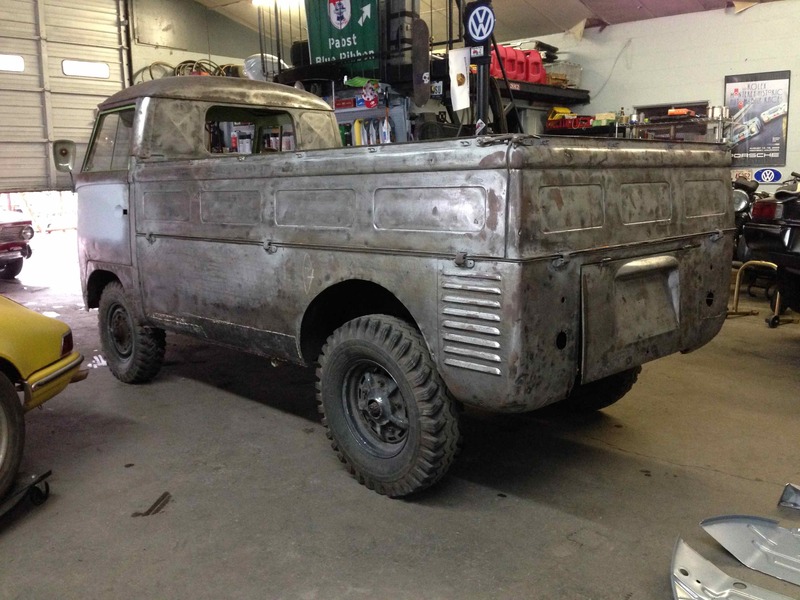 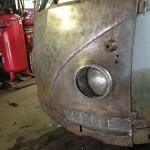 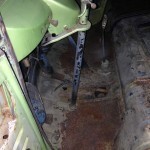 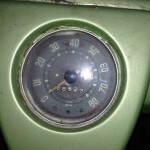 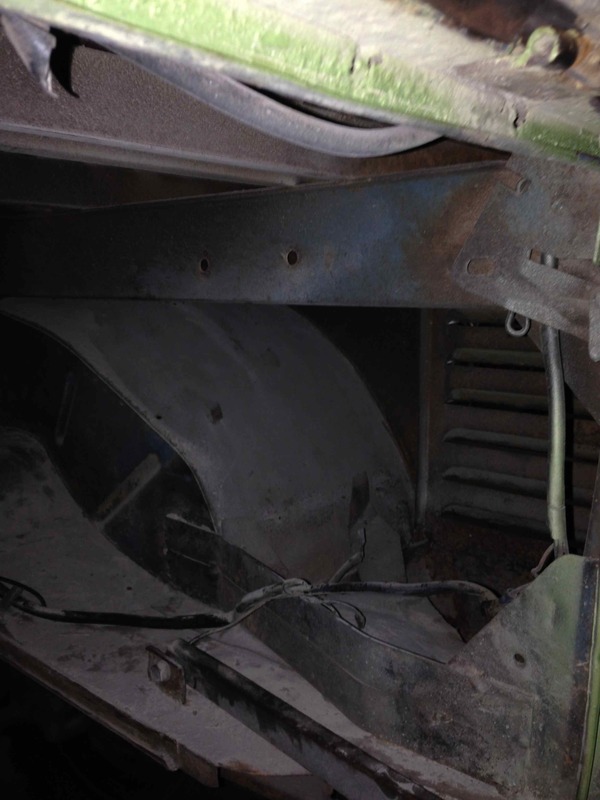 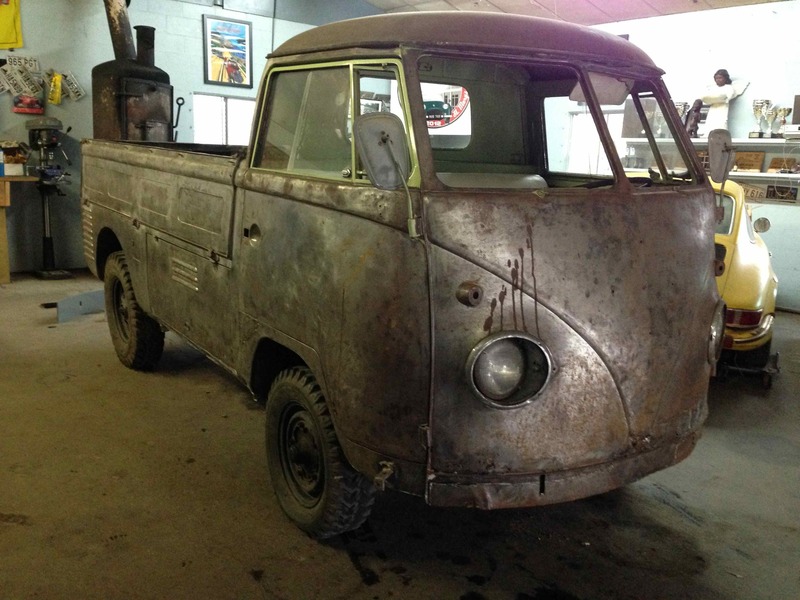 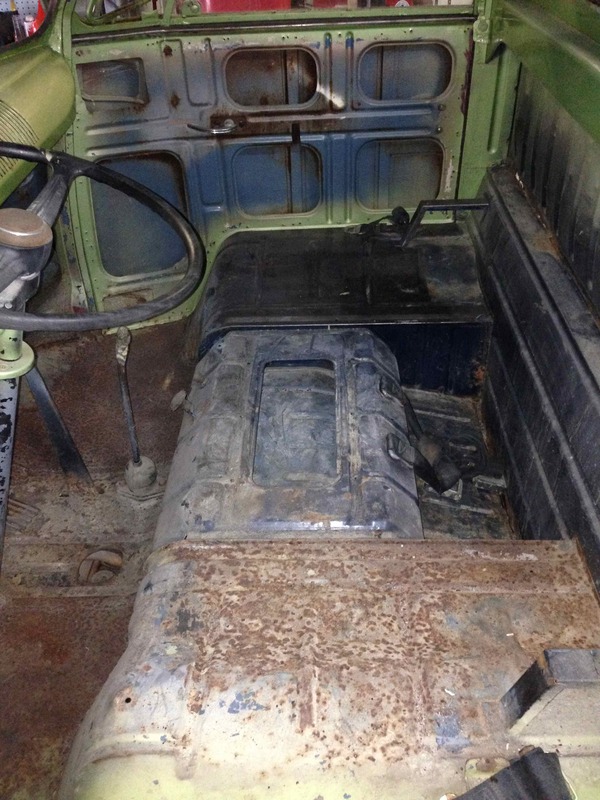 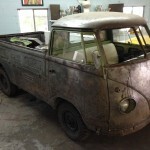 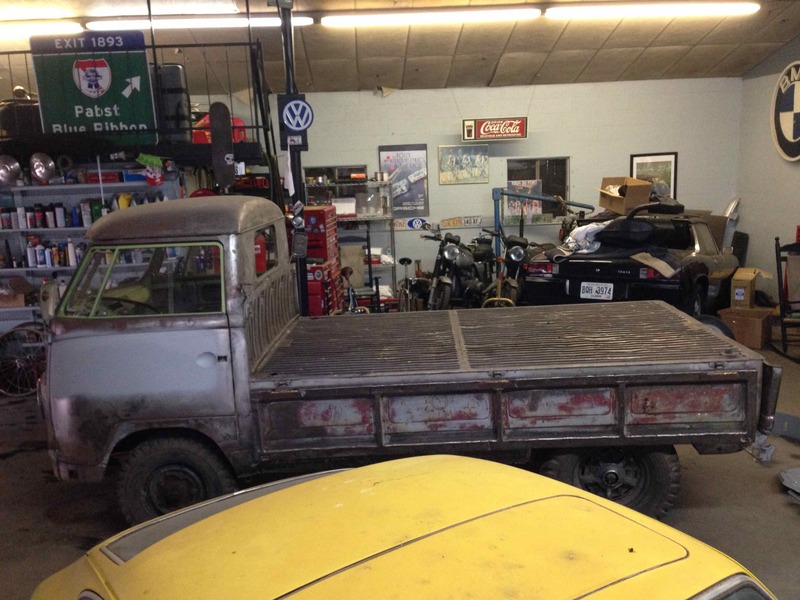 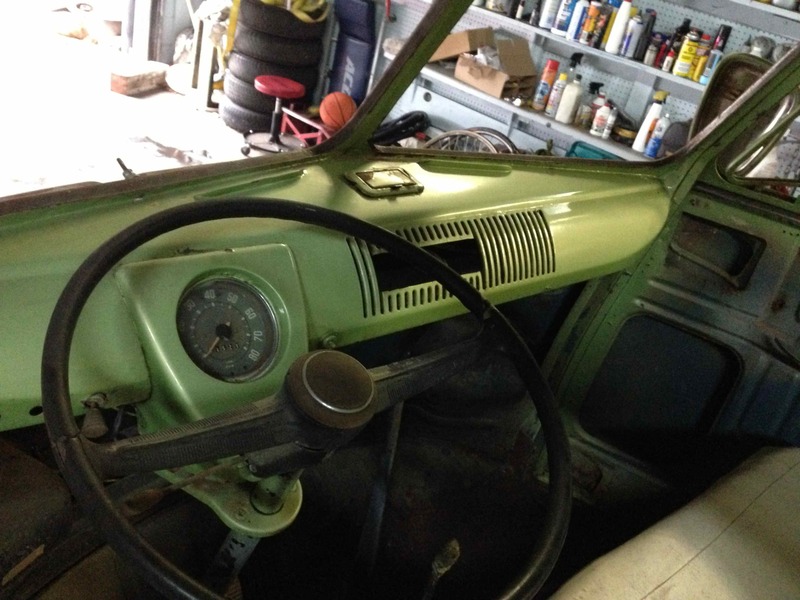 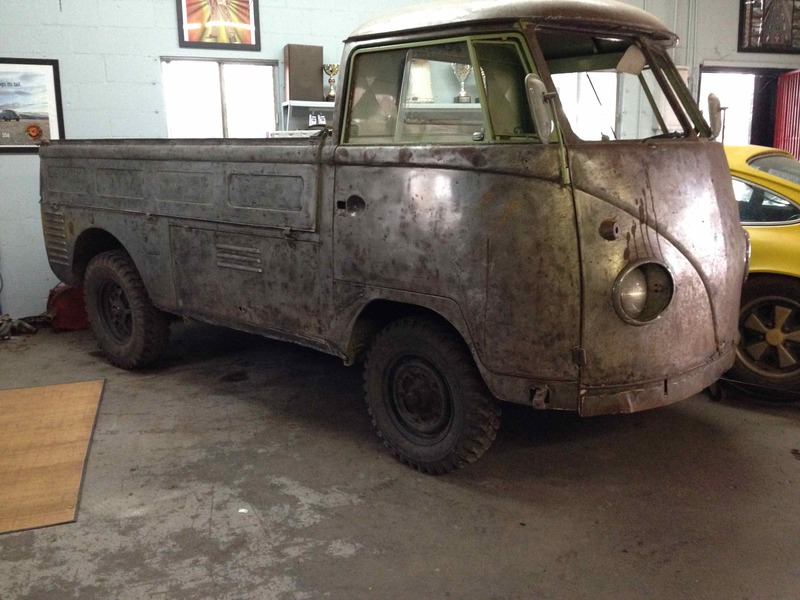 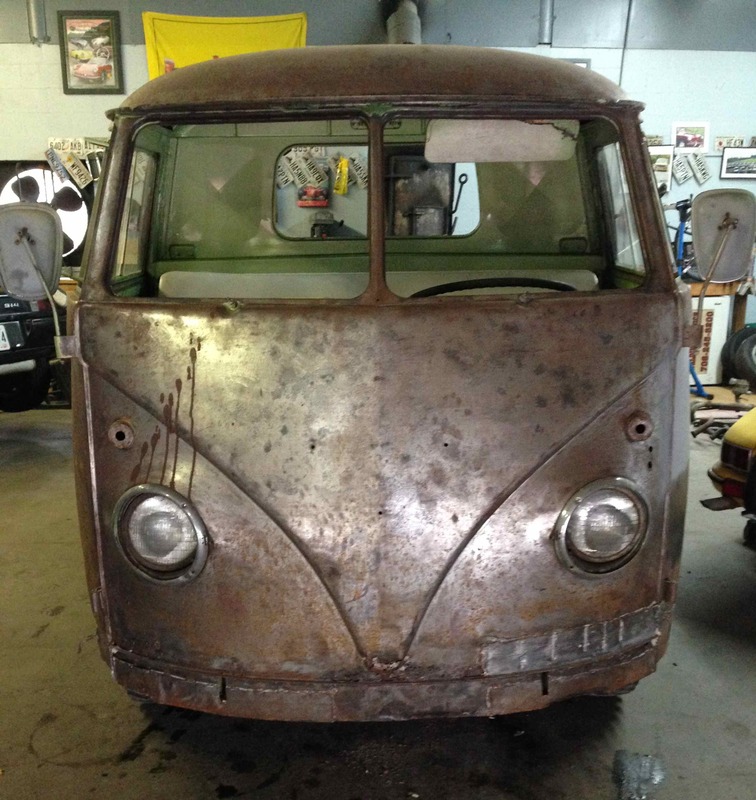 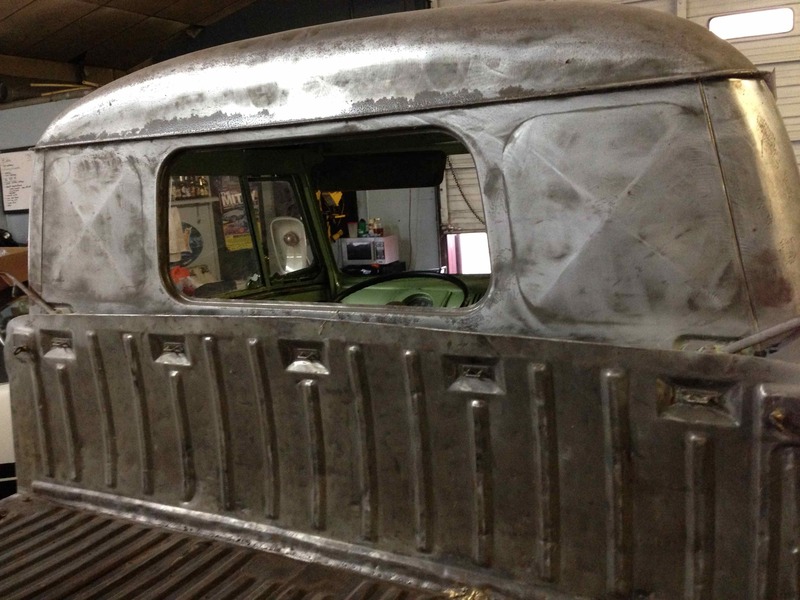 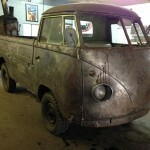 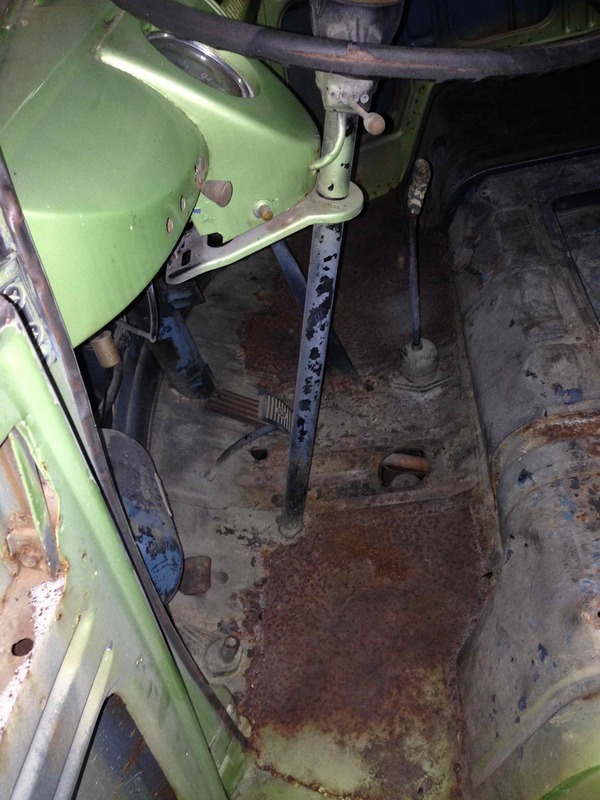 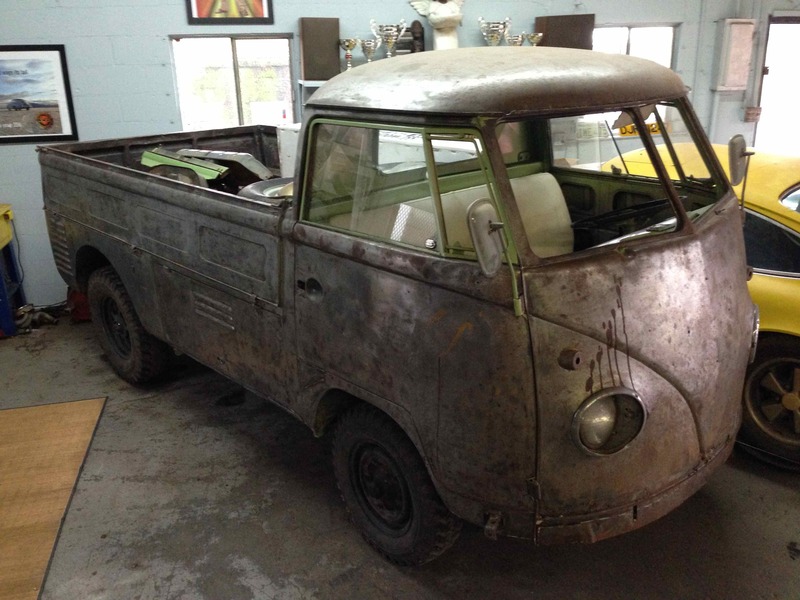 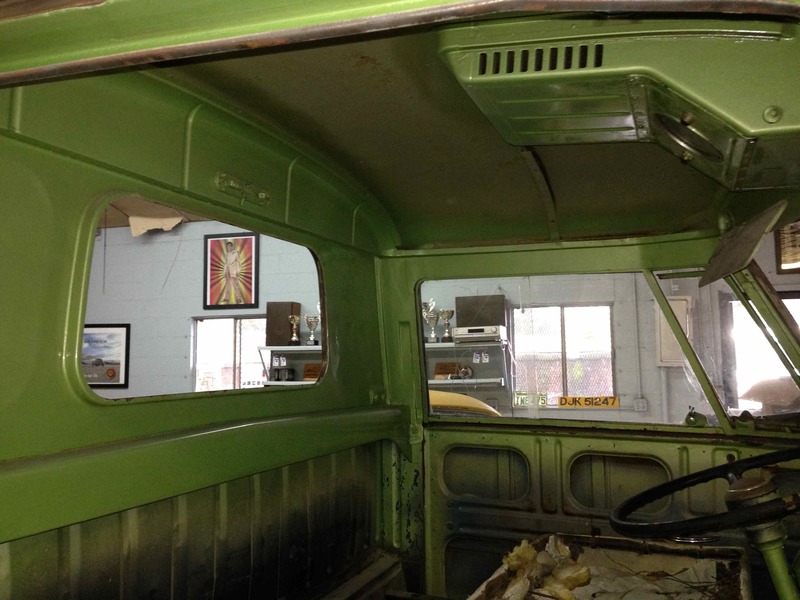 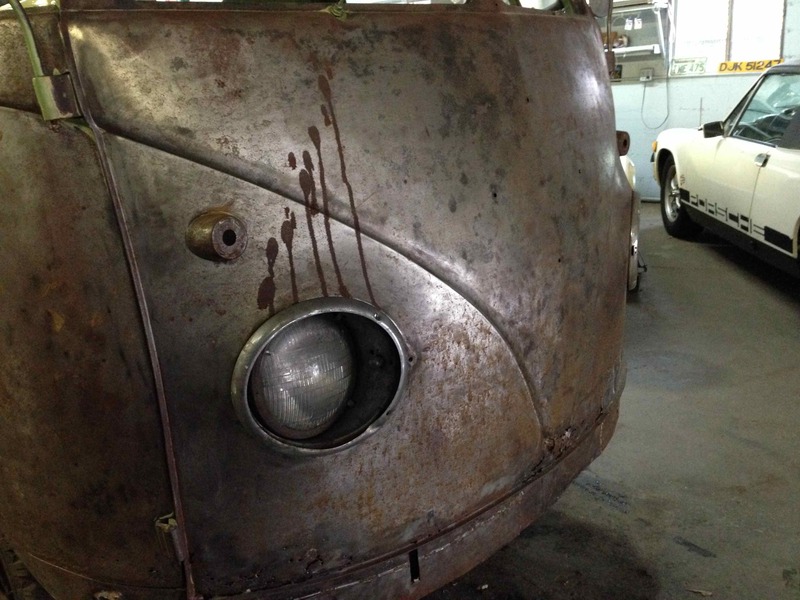 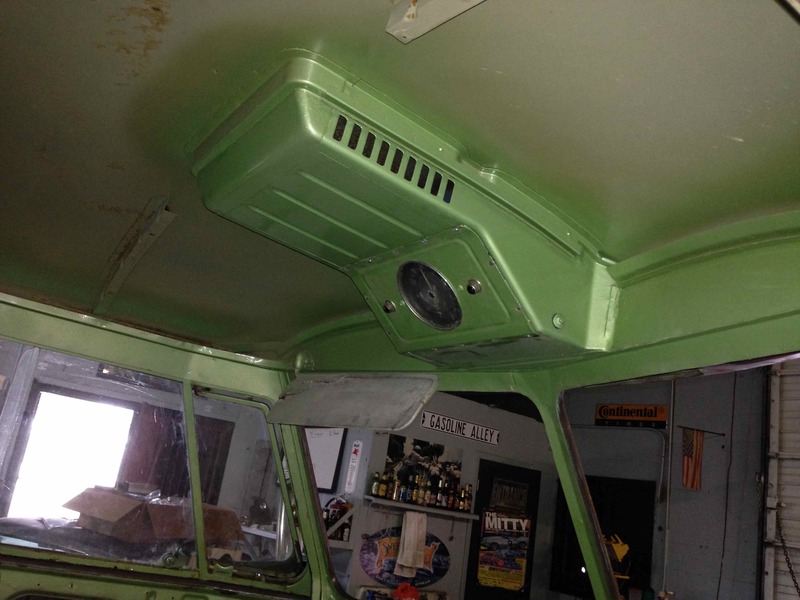 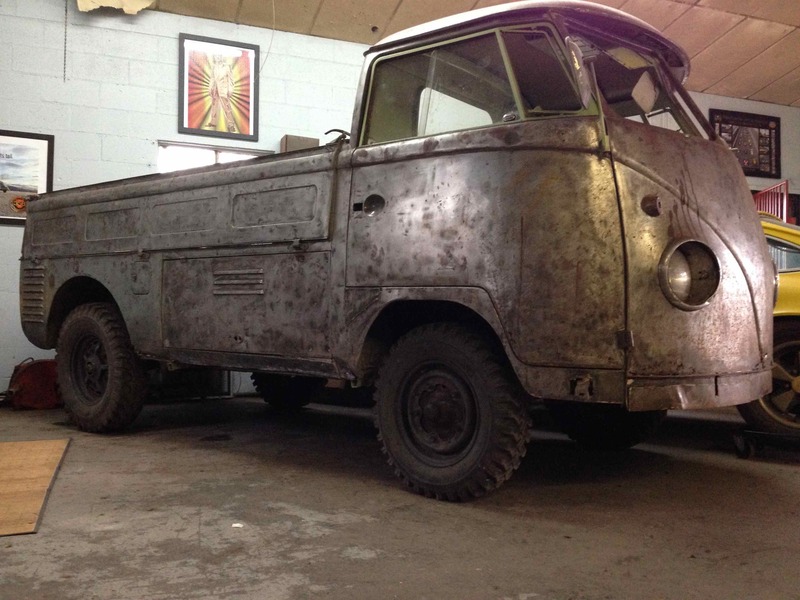 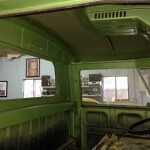 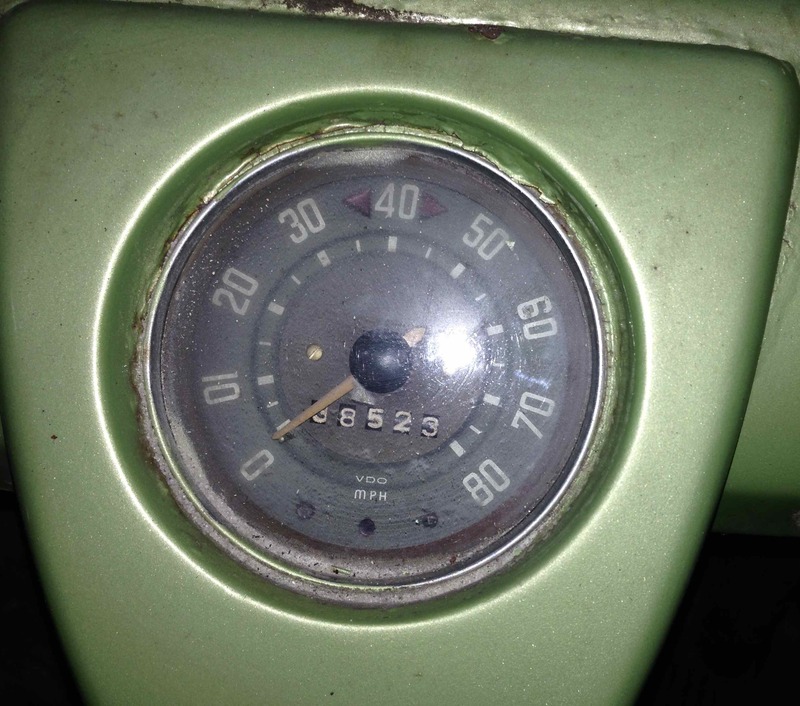 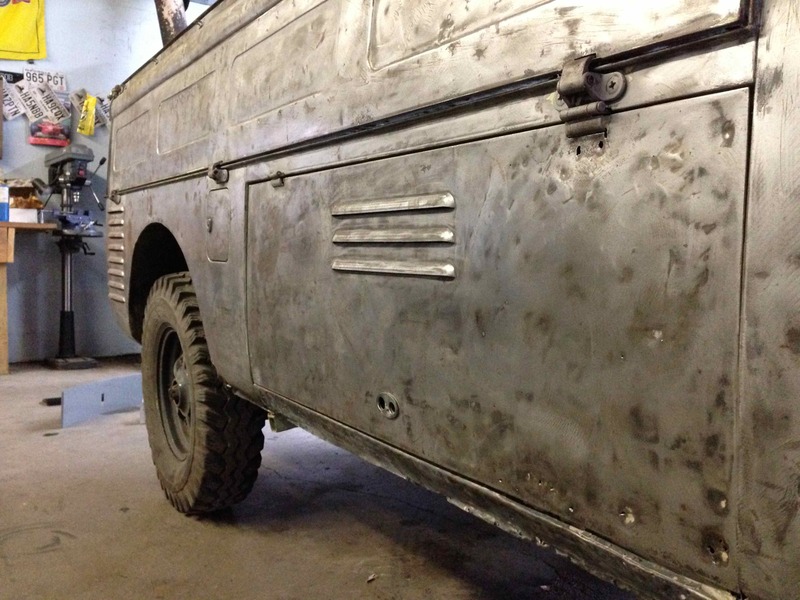 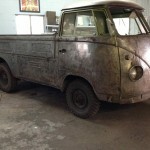 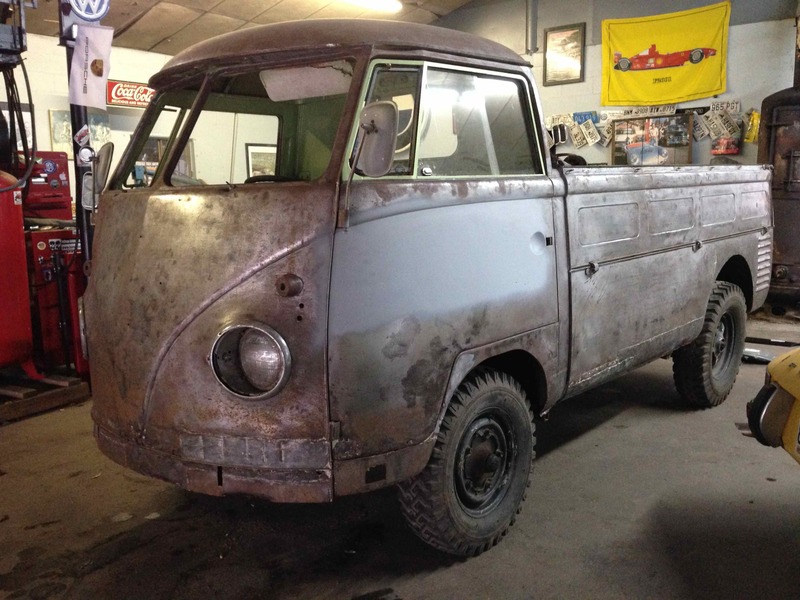 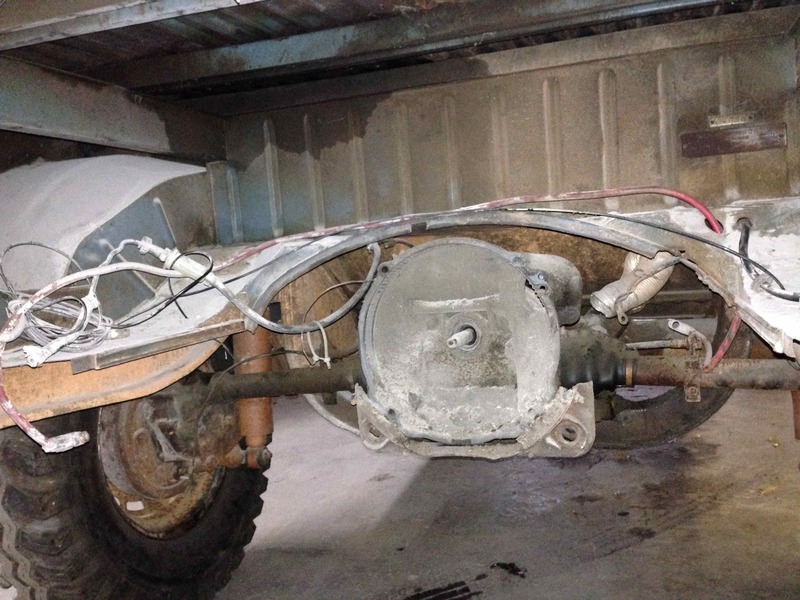 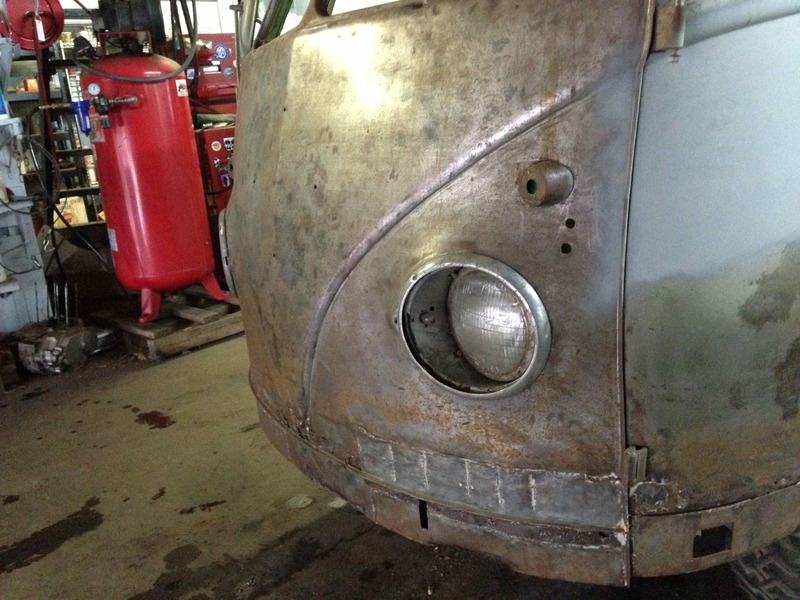 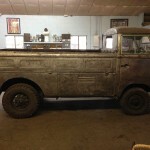 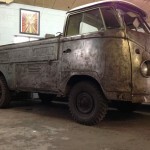 Up for sale on The Samba is a ’58 Single Cab Splitty project. 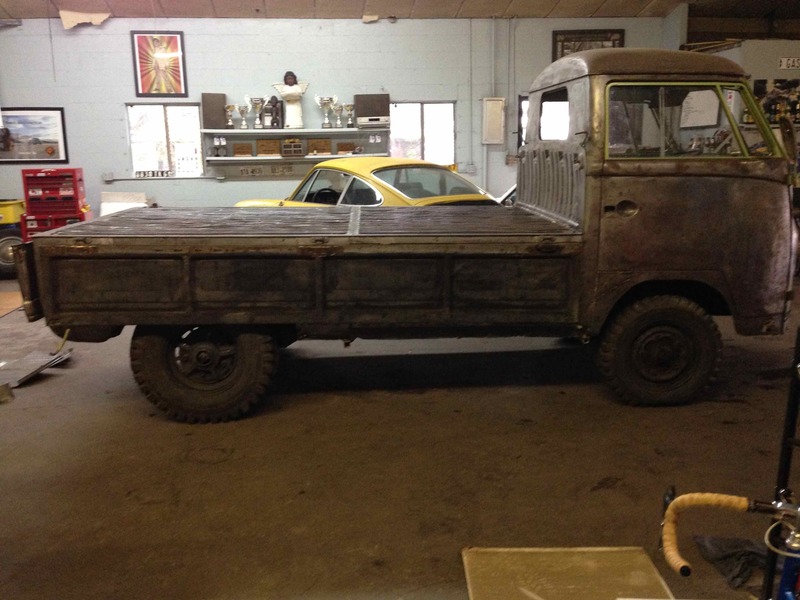 This truck is remarkably sound and ready for a restoration. 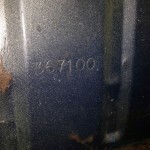 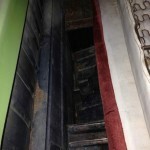 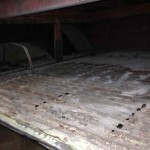 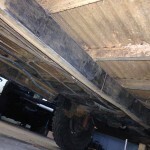 The previous owner media blasted the truck from stem to stern so there’s nothing to hide. 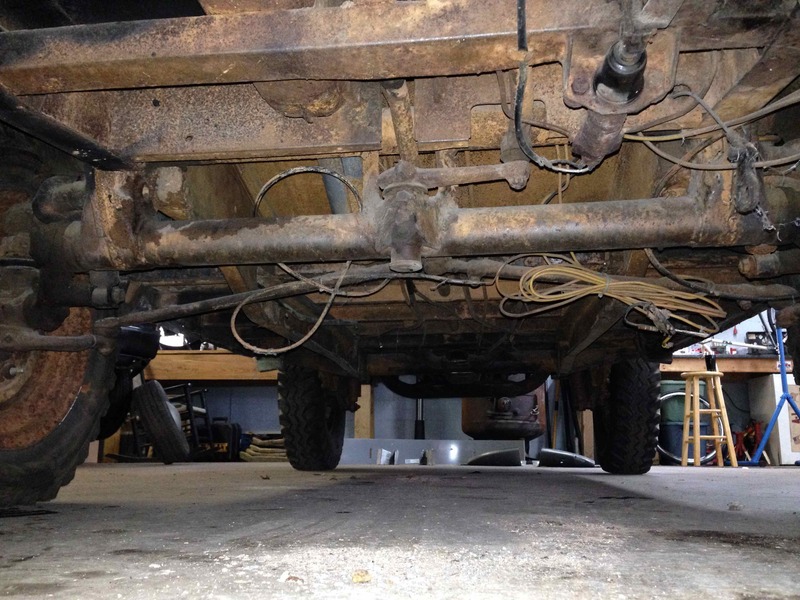 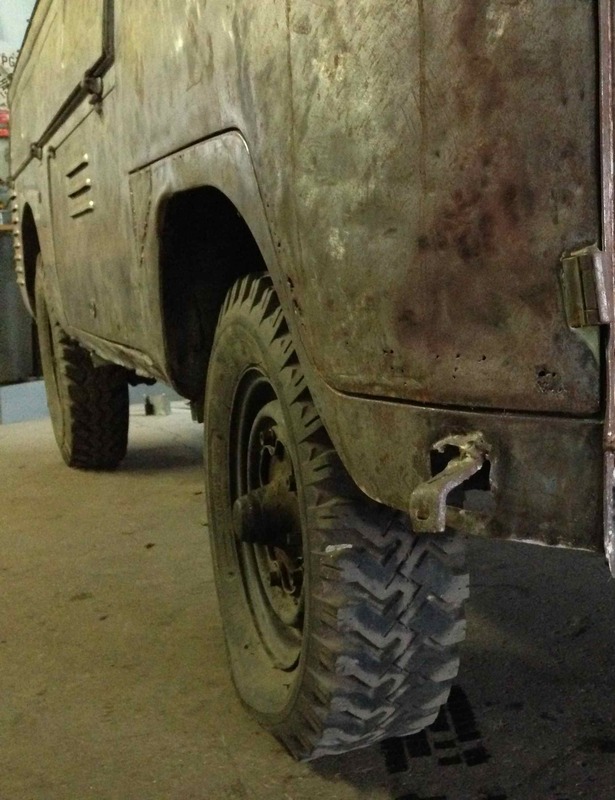 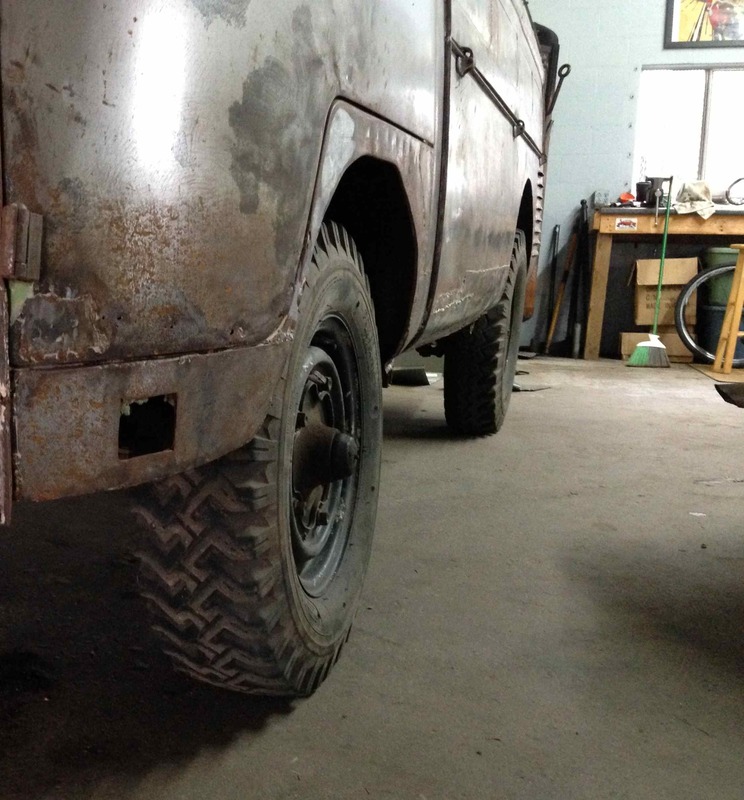 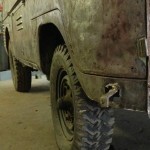 The truck is equipped with period offroad goodies including coil-over front shocks and air-adjustable rear units. 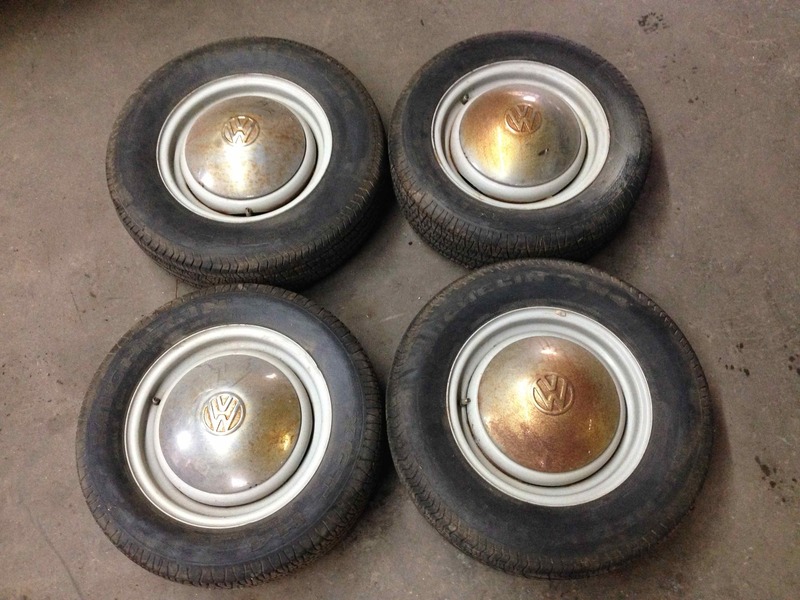 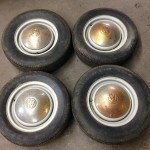 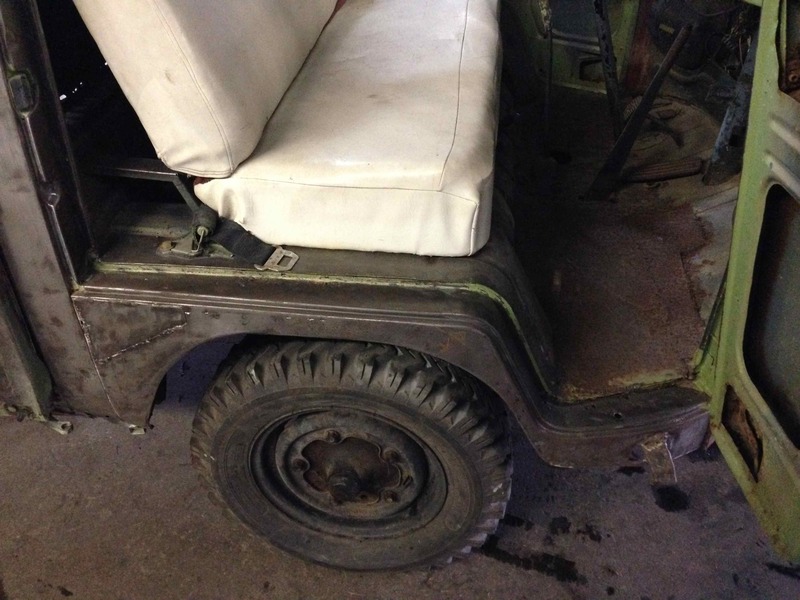 The rear wheel arches were cut to accommodate oversized knobbies but the original steel road wheels and tires are included. 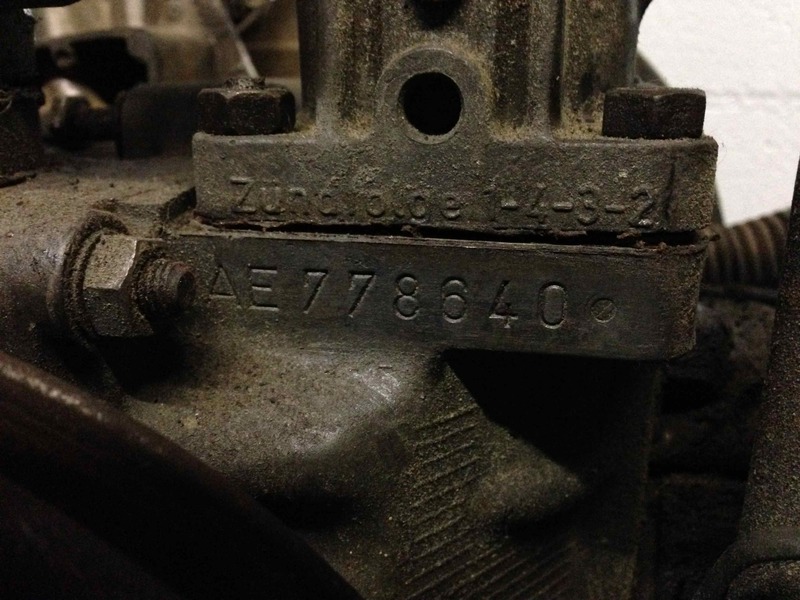 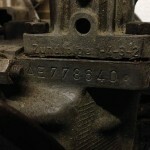 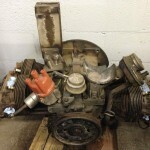 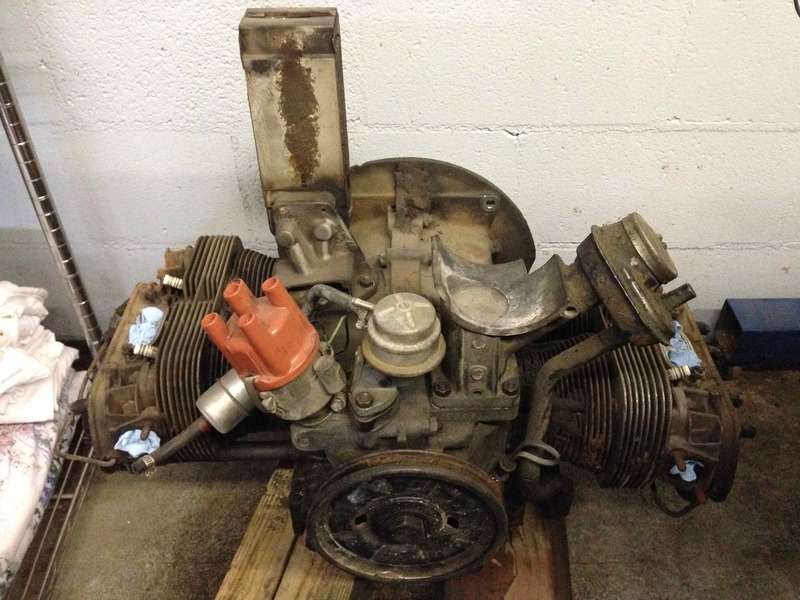 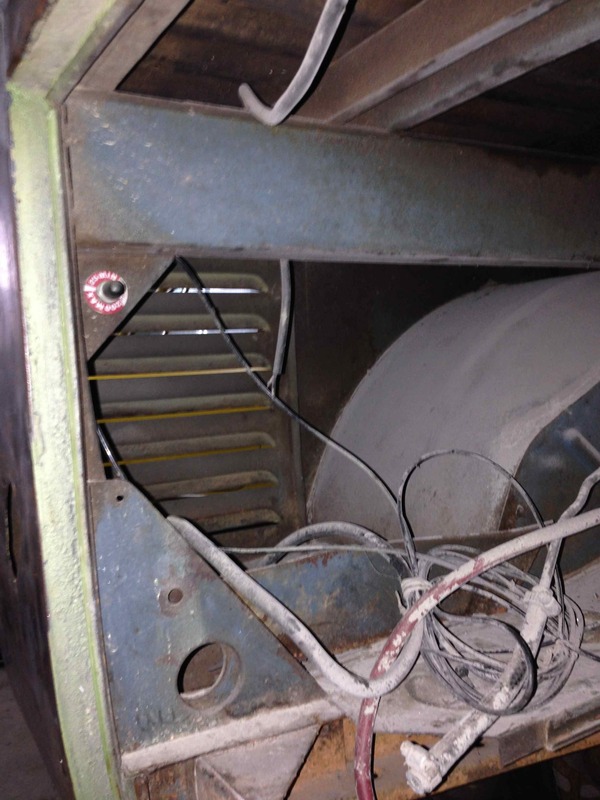 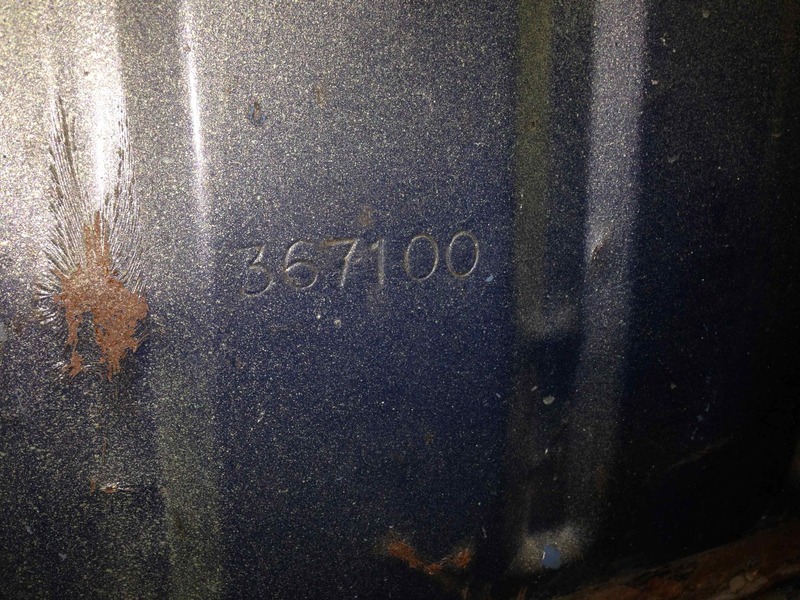 The original engine is long gone but a 1600 dual port that is out to rebuild (it turns freely) is included. 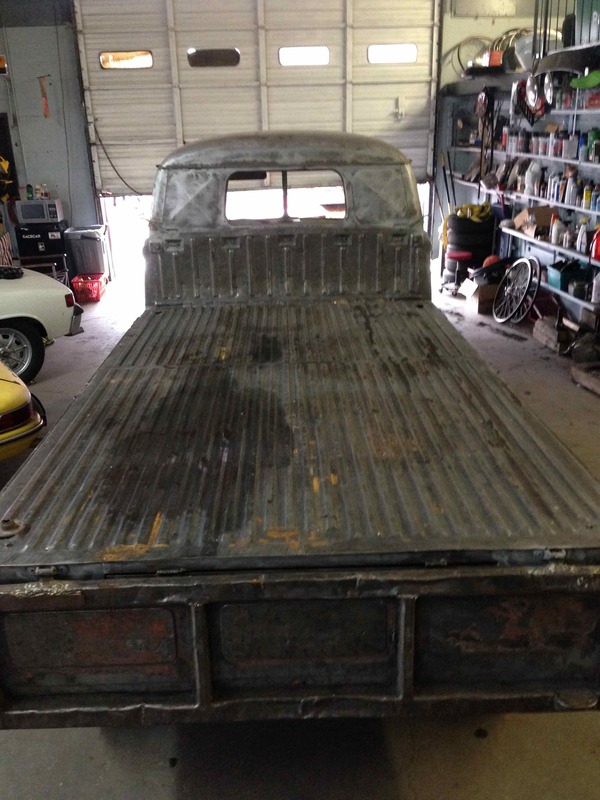 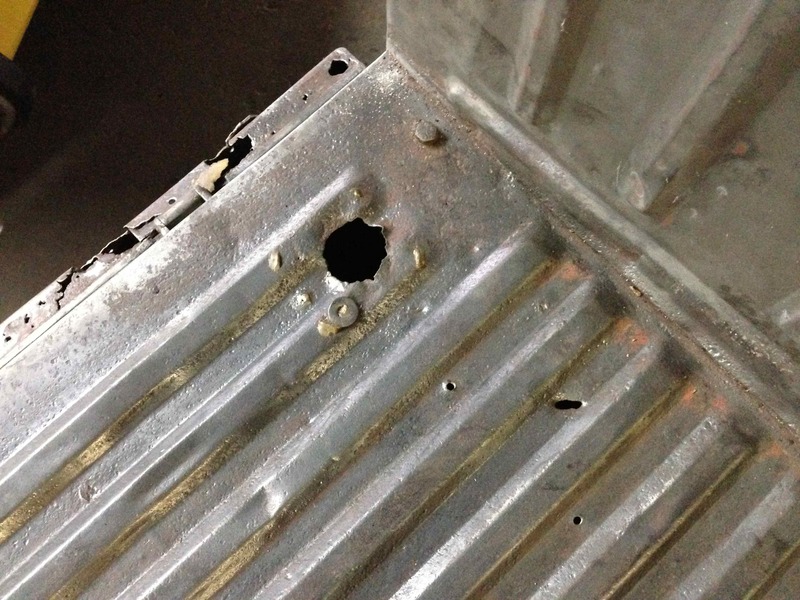 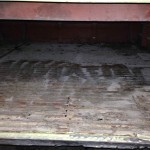 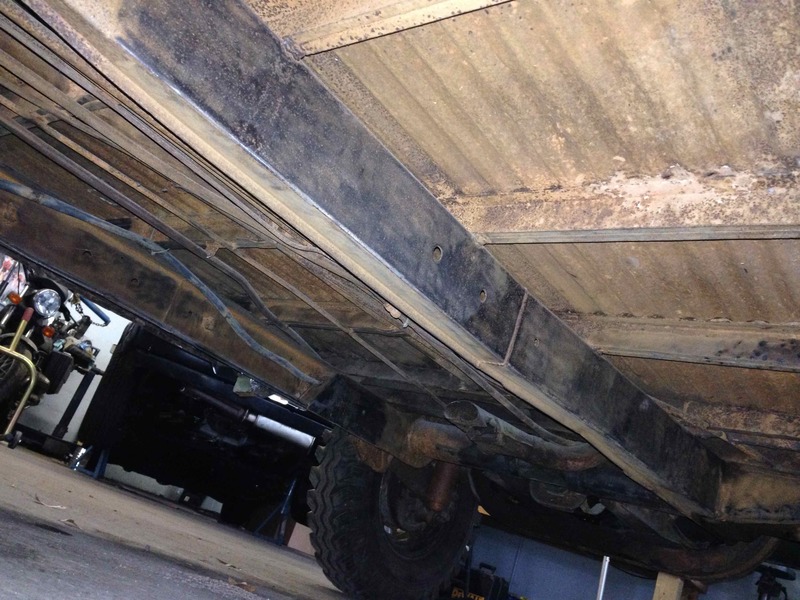 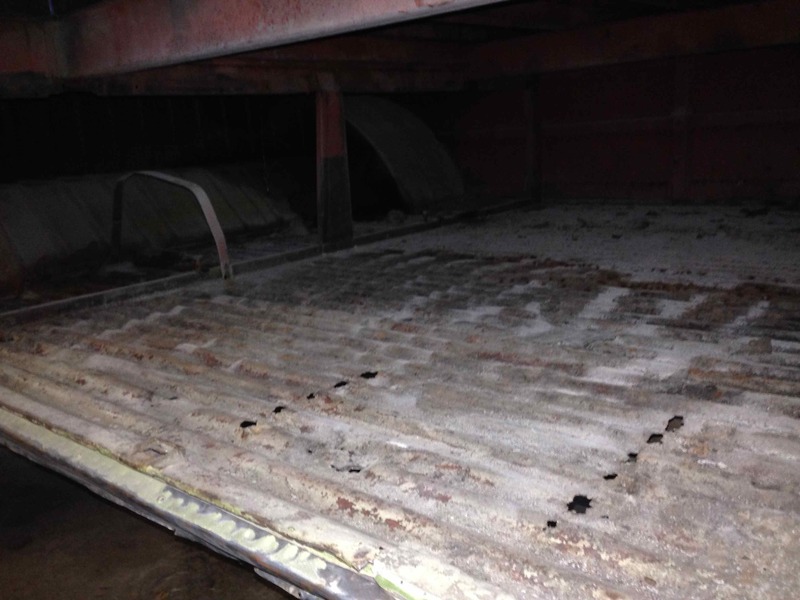 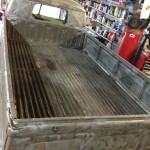 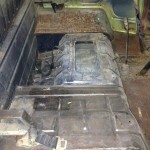 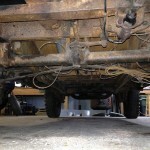 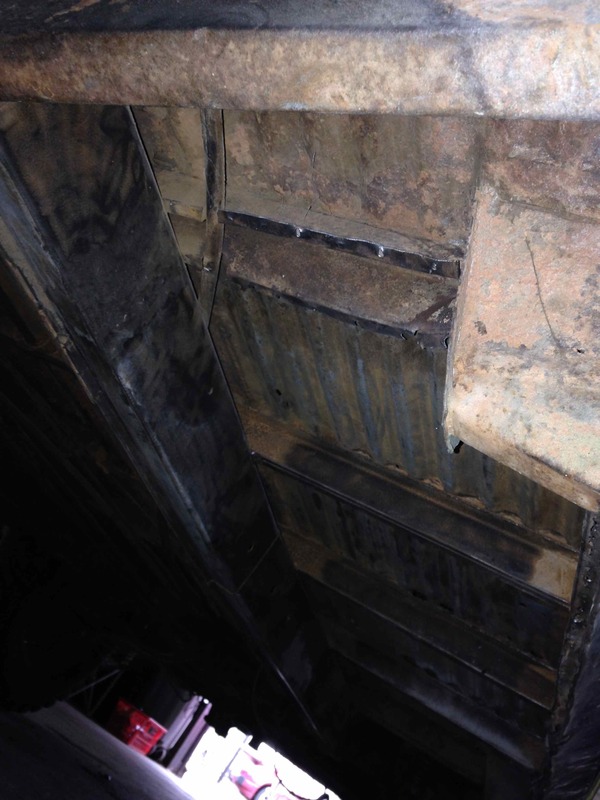 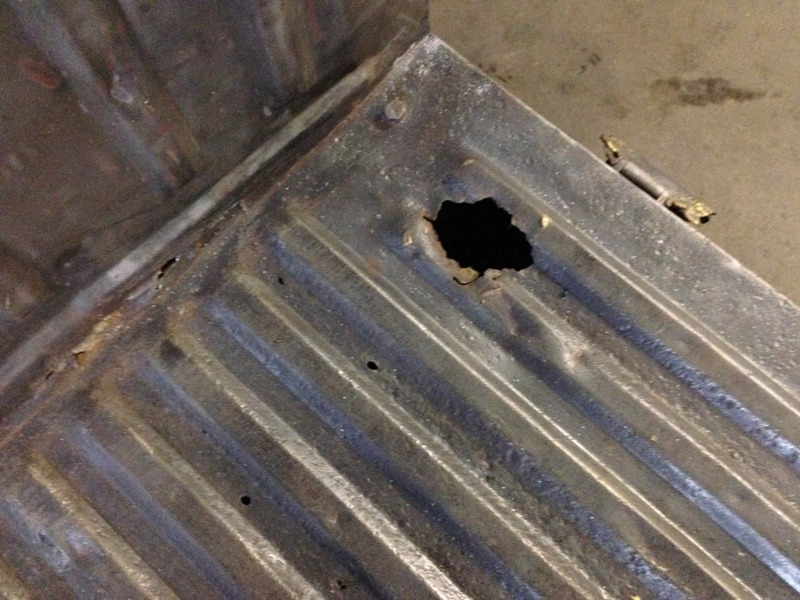 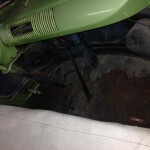 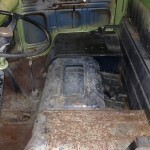 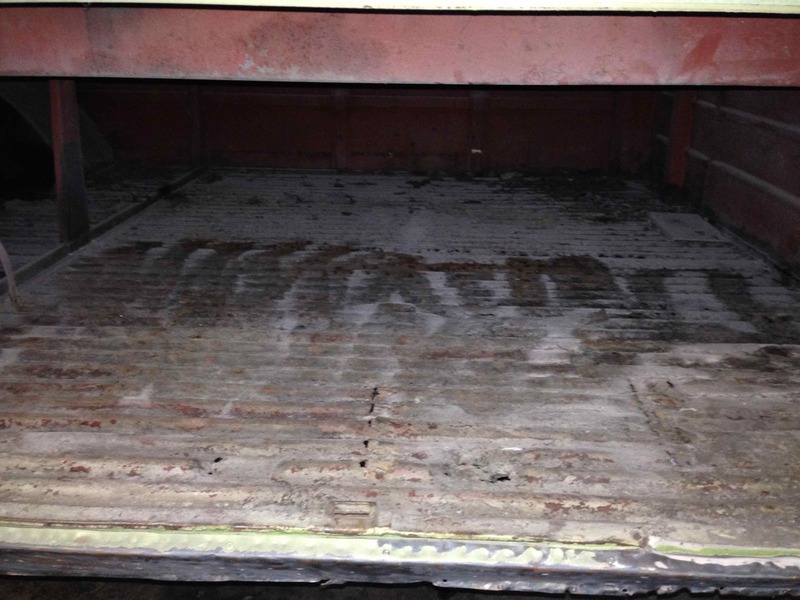 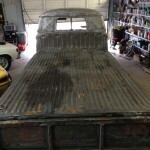 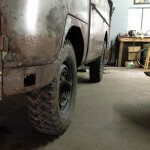 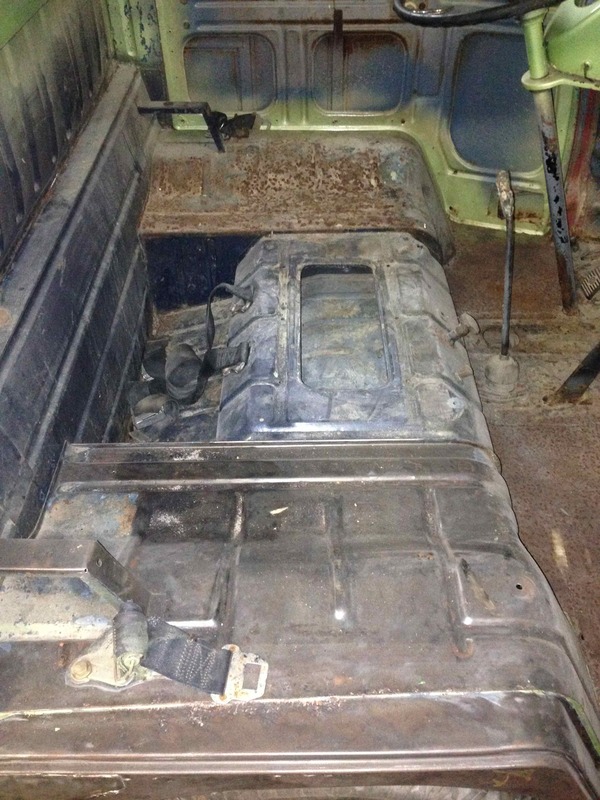 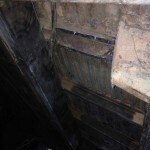 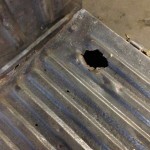 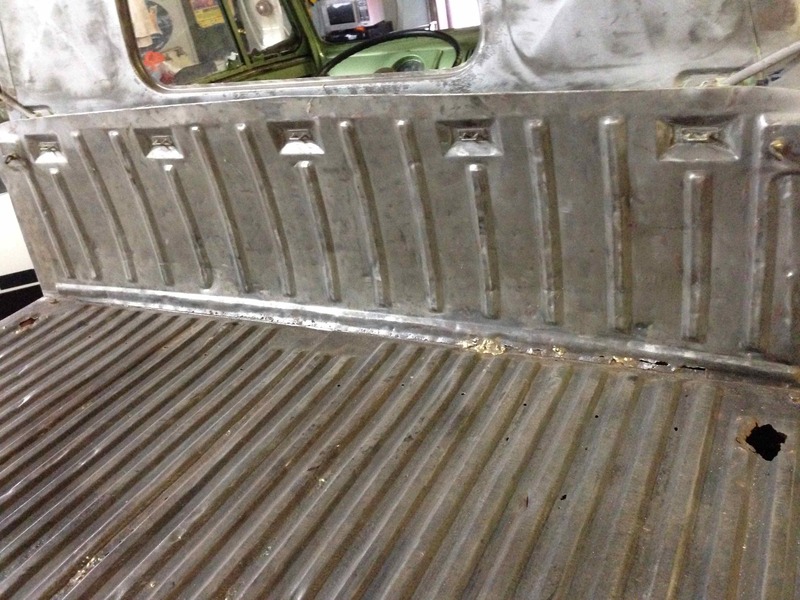 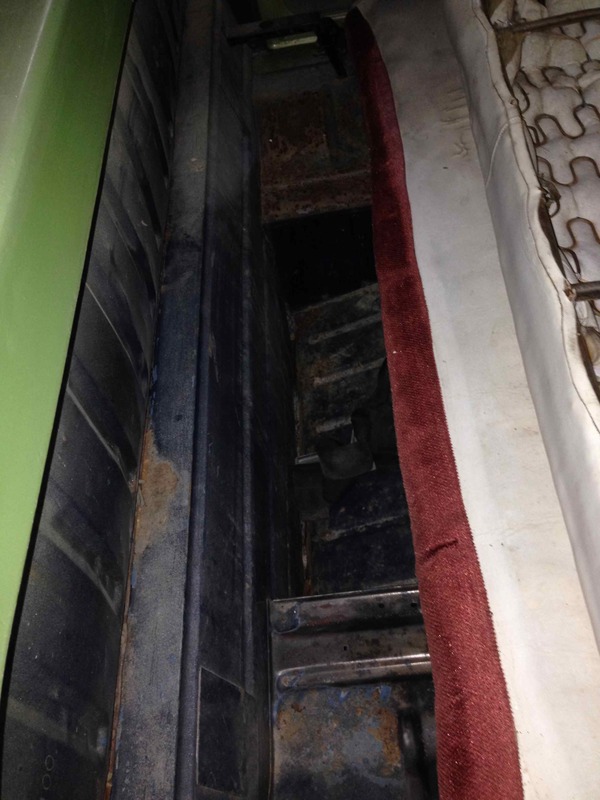 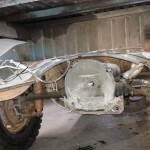 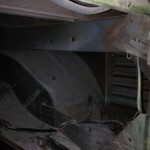 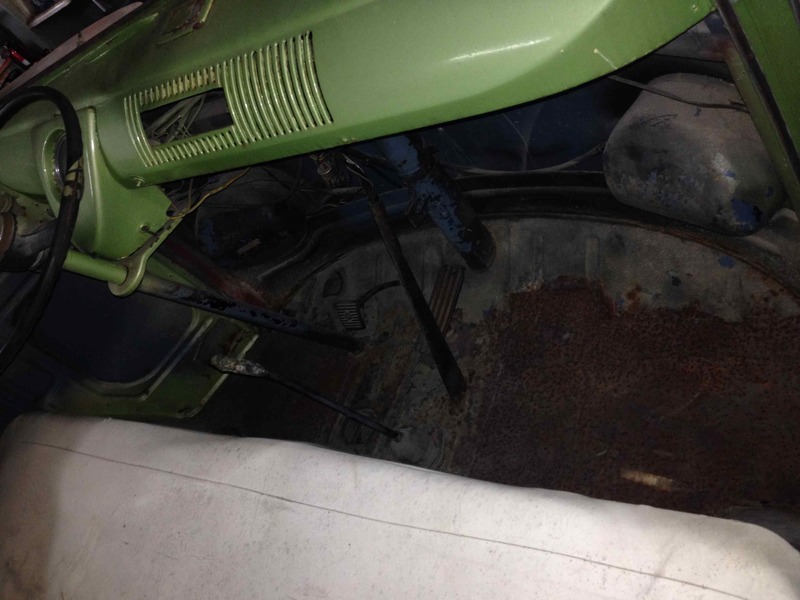 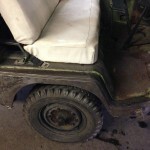 The truck bed is solid as are the rear floor pans. 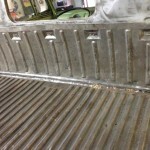 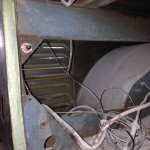 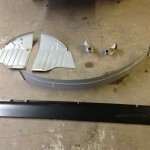 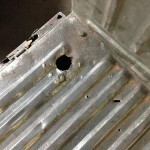 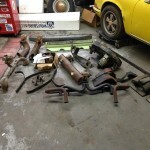 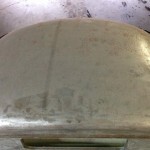 The front pans have been patched however new pans are included. 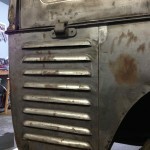 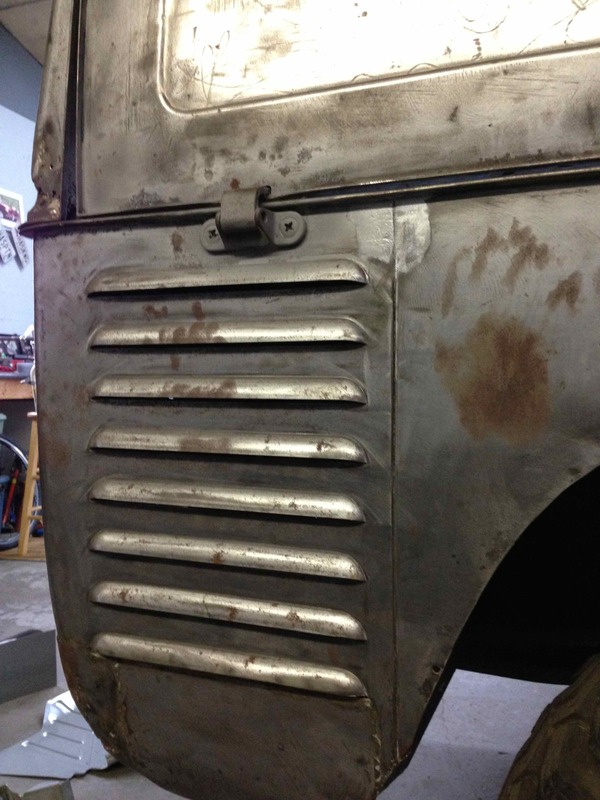 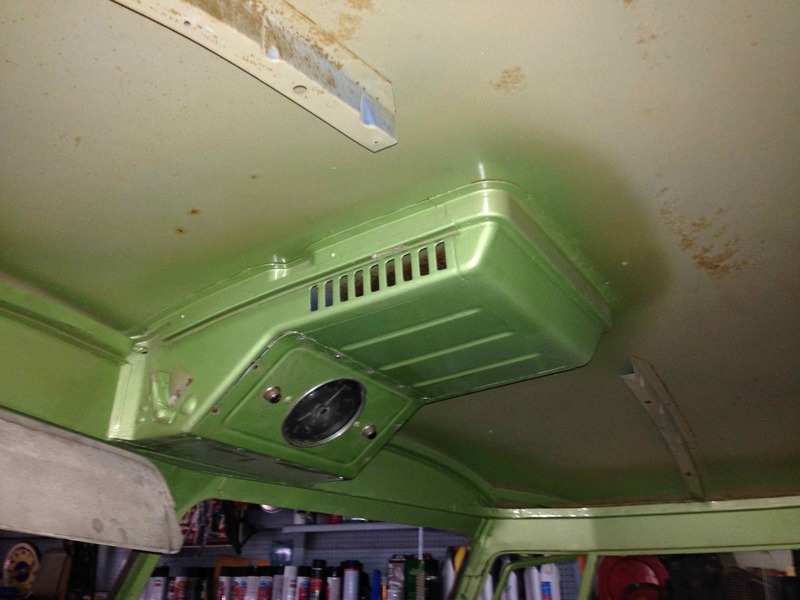 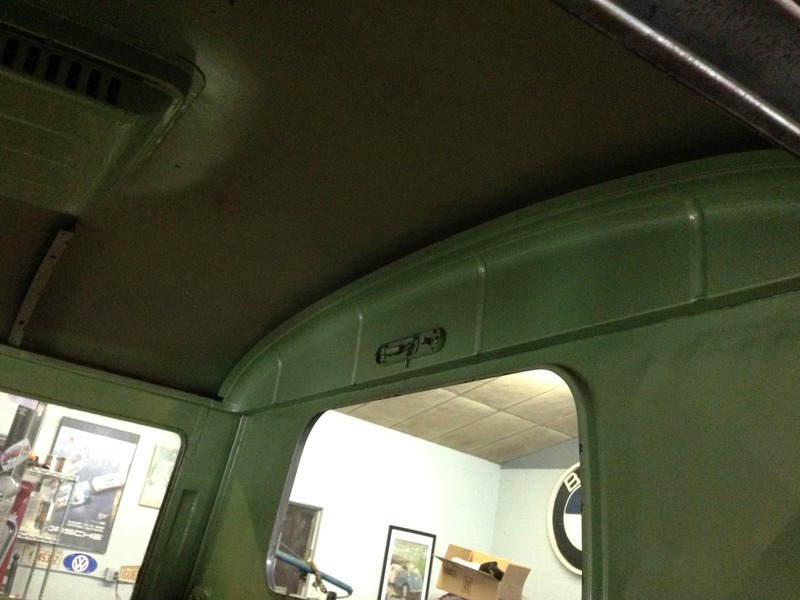 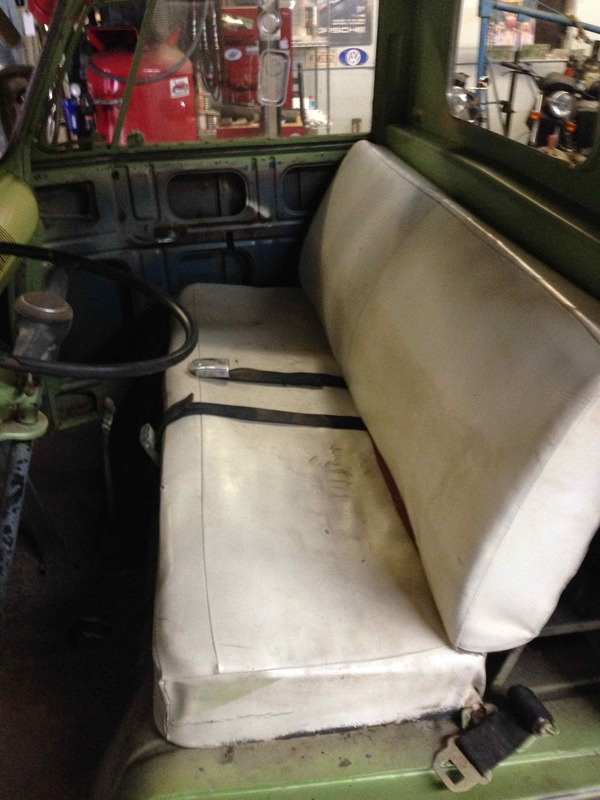 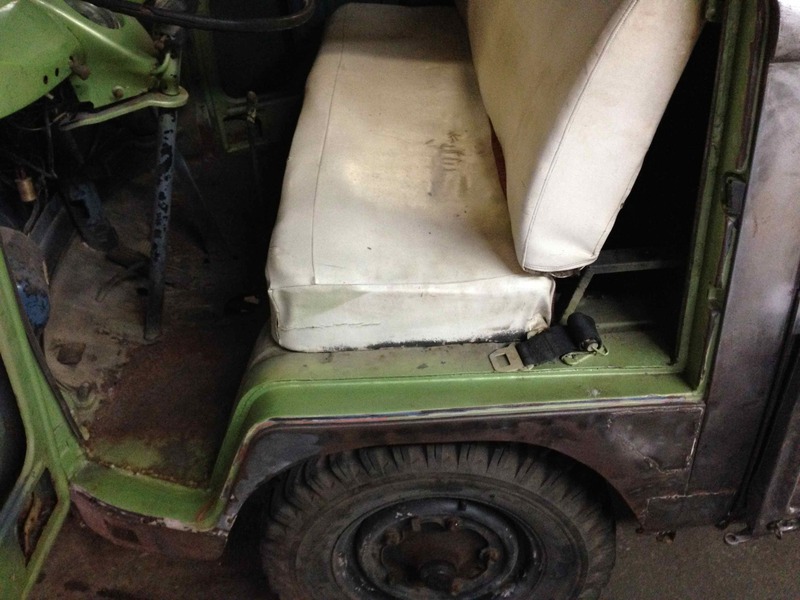 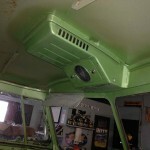 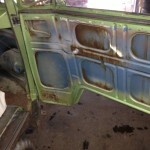 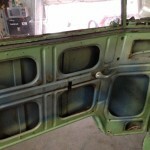 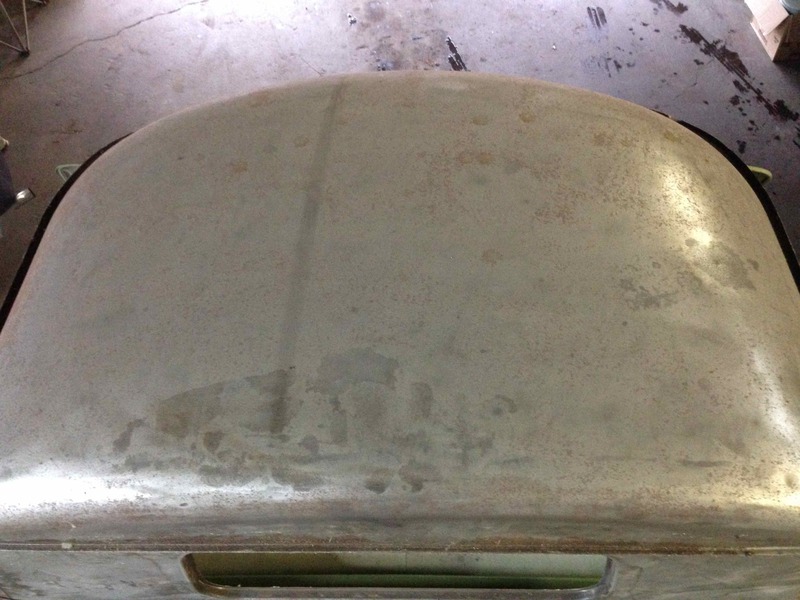 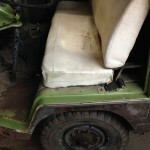 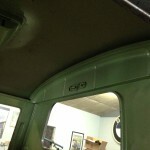 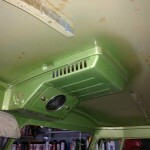 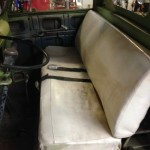 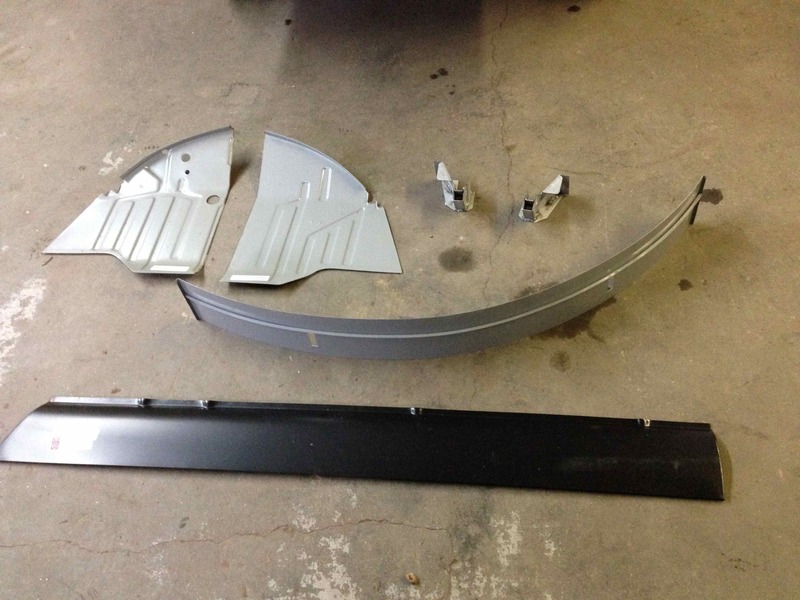 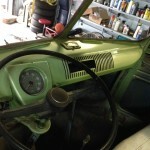 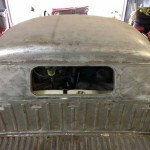 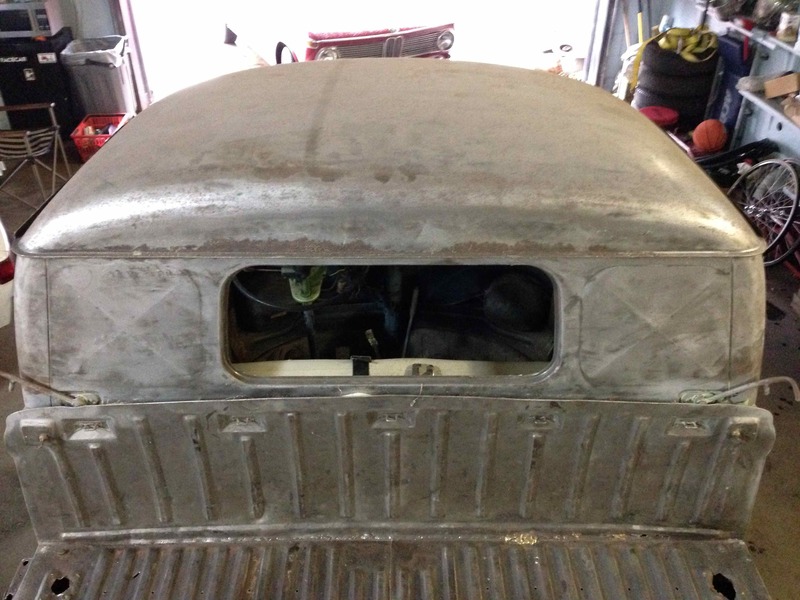 Other new panels include a pair of jack points, a new lower nose panel and driver’s side rocker. 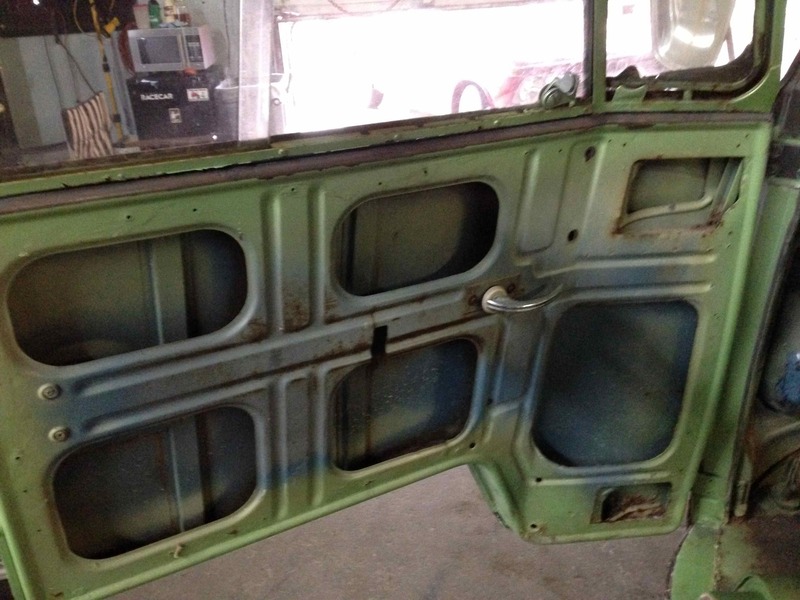 The front and rear glass along with the tail lights and turn signals are gone. 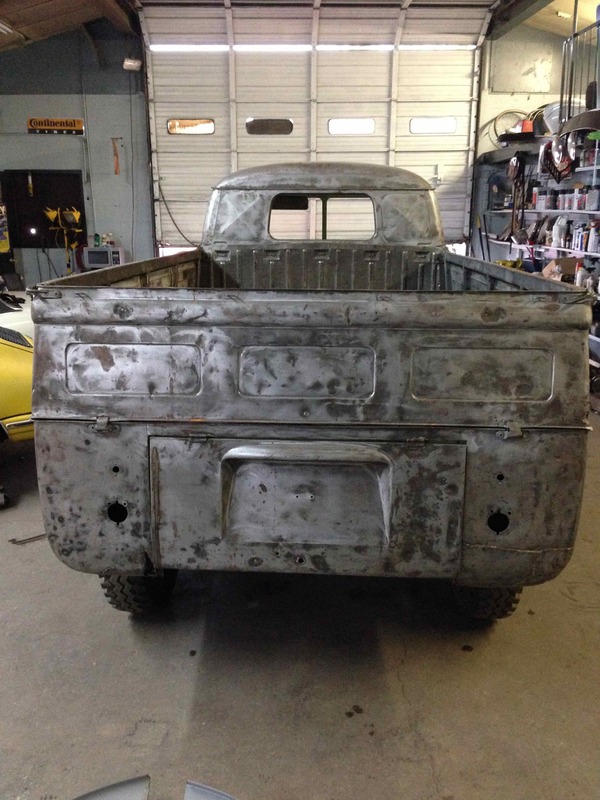 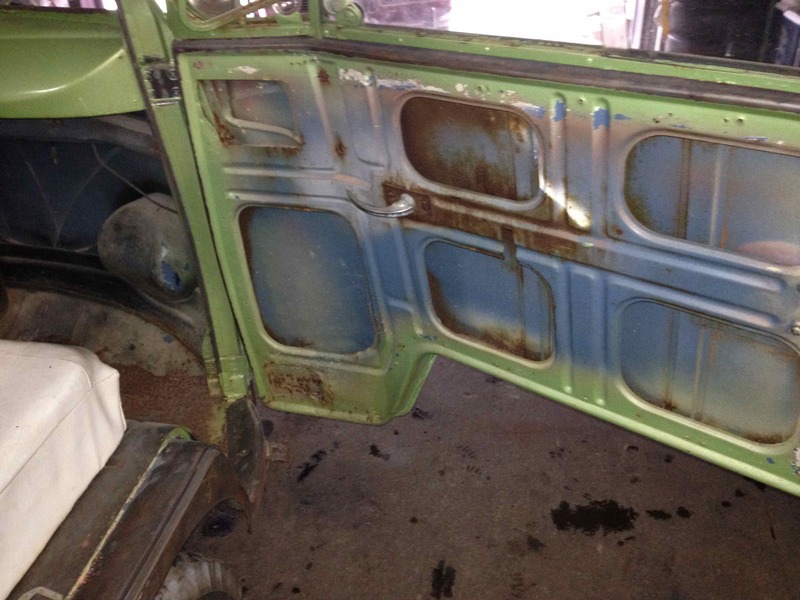 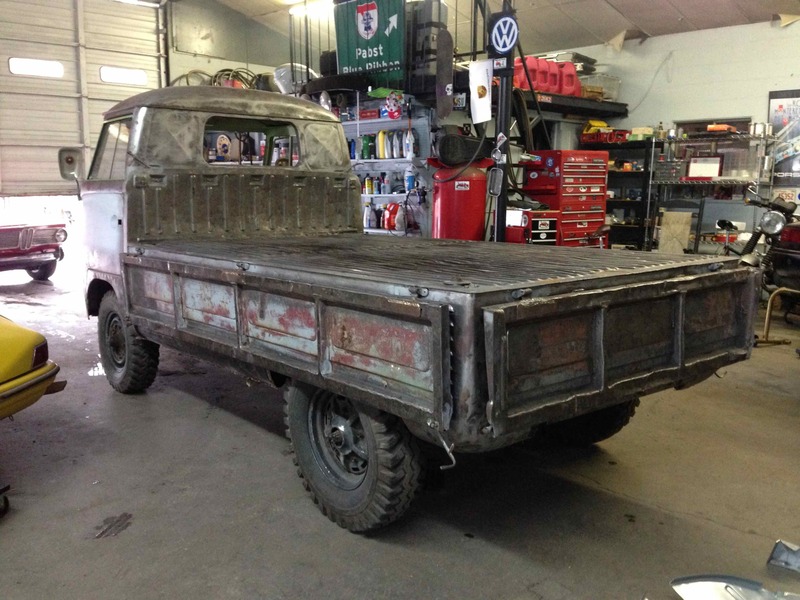 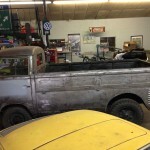 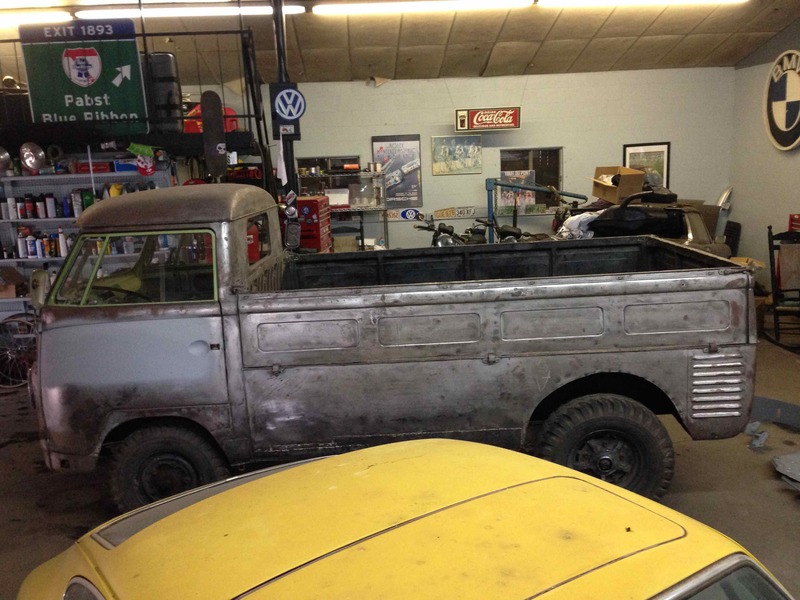 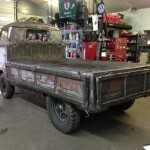 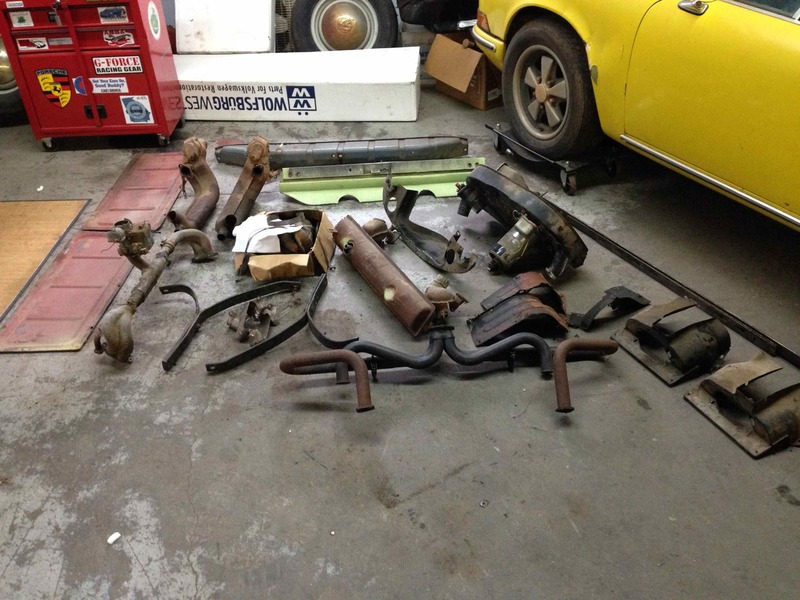 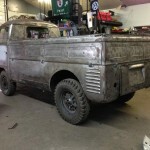 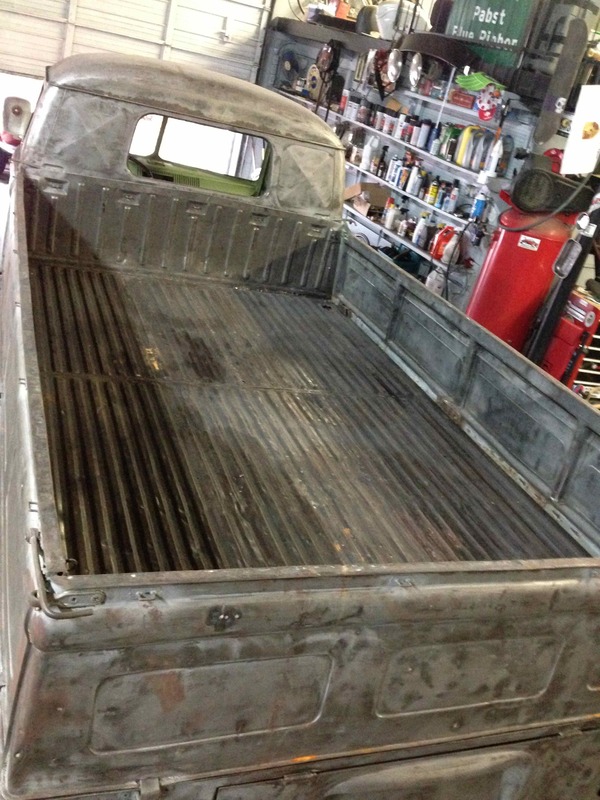 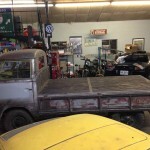 Rebuild the engine, add a set of Safari windows and clear coat the body to have one tough shop truck or start a ground up restoration without having to guess at what lurks beneath old fixes and resprays.